An attack perpetrated by armed men took place early morning on October 22 on Parliament Hill in the immediate aftermath of a historic divisive vote in the House of Commons concerning Canada’s participation in the US led crusade directed against the Islamic State. The vote pertained to the “deployment of Canadian warplanes and special forces on a combat mission to Iraq.” It was passed with the Conservative government’s slim majority. According to reports, one soldier was killed as well as one gunman on the morning of October 22nd, identified as Michael Zehaf-Bibeau, a Canadian born in 1982. One report says one suspect was armed with a “double barrel hunting rifle”. A journalist on the scene when the incident occurred said she did not see the shooter but was told he was “wearing a black and white scarf with Arabic patterns”. Others who saw him said he had long hair and was masked. After the Royal Canadian Mounted Police (RCMP) press conference this afternoon, it was still not clear whether other suspects were still on the loose or even how many there were. Journalists were given practically the same answer for every question: “it is too early to comment at this stage”. The goal of the press conference was clearly not to give information, but rather to repeat to Canadians that they must be “vigilant” and report any “suspicious activity”. Many fear the recent events will dramatically increase racial profiling and islamophobia. This attack in Ottawa comes two days after a man hit two soldiers with his car killing one in Saint-Jean-sur-Richelieu, Quebec. 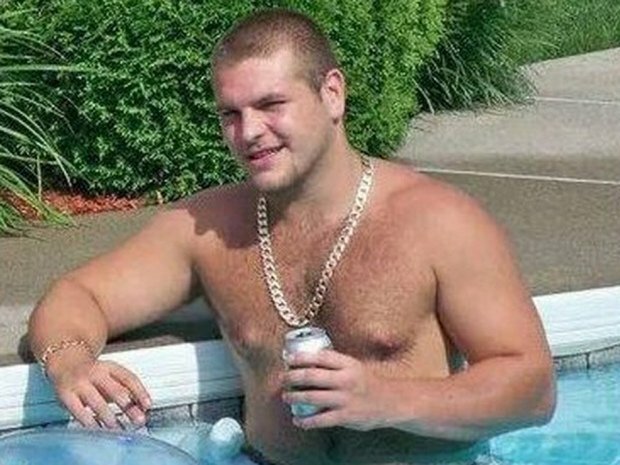 The suspect, a 25 year old named Martin Couture-Rouleau, was later killed by the police after being chased. The domestic terror threat level went from low to medium on Tuesday. According to testimonies Rouleau had converted to Islam in the past year and was known by the authorities who had confiscated his passport. Although no link has been officially made between the two events, some officials have indicated they could be related. After the first incident, in which a man we don’t know much about acted alone, the media was quick to jump to conclusion: Islamic terrorism. These two tragedies targeting Canadian soldiers occur as Canada is joining the United States in the illegal military intervention in Iraq. Soldiers were told not to wear their uniforms outside of military bases for their own safety. One Lieutenant said today the killings signal “the end of Canadian naivety” with regards to the “terrorist threat”. Fear campaign or “very real threat”? In the days leading up to Canada’s involvement in Iraq, Canadian authorities have clearly increased their fear campaign. 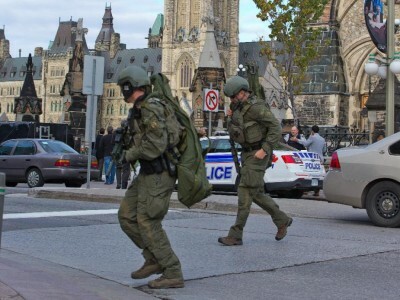 On October 9, 2014, “Canada’s top intelligence and police officials warned the ‘homegrown terror threat’ is real as authorities disclosed the Mounties are working on 63 active terrorism probes targeting 90 individuals. We don’t know if Rouleau was one of the individuals under investigation, but we can assume he was, since his passport was confiscated for fear he would join a terrorist group abroad. Recently our Conservative government announced the listing of the Islamic State in Iraq and the Levant […] in all its forms and identities as a terrorist organisation making it clear that joining or attempting to join this despicable group is a terrorist offence. If, as the media report, Rouleau was known by the police and his passport was confiscated because he “wanted to join ISIS” and “wanted to be a terrorist”, Rouleau should have been accused of a terrorist offence. Why was he not? As for the attack in Ottawa, “RCMP National Division commanding officer and Assistant Commissioner Gilles Michaud said the attack caught authorities by ‘surprise.’” It’s a rather surprising surprise, since we were told only two weeks ago by both the RCMP and CSIS that the “homegrown terror threat” was “very real”. “The presence of numerous high-profile federal institutions, foreign embassies, military facilities, tourist attractions, and special events make the NCR a rich environment for possible plots by a variety of differently-motivated terrorists,” the report says. [I]ntelligence officials believe Canada’s top terrorist threat comes from Sunni Islamist extremists — essentially followers of al-Qaeda’s ideology of violent intolerance. In Ottawa, such an attack would most likely be carried out by a “lone actor” or small group, the report said. The three scenarios outlined in the documents involve an “active shooter,” “bladed weapon attacks” and improvised bombs. “Simple, straight forward, small-scale attacks, using available weapons and minimal preparation against undefended targets are a realistic match with the actual capabilities of most extremists,” it says. Global Research will follow this issue closely as more details emerge.